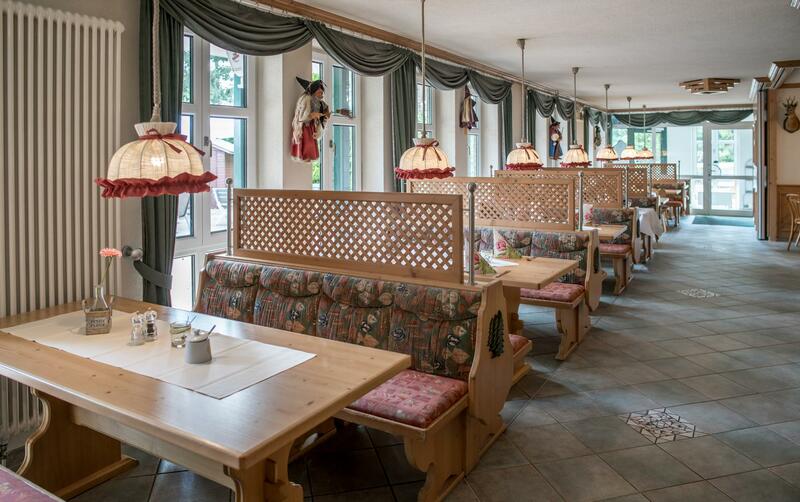 Enjoy your meal in our Harz Restaurant Tannenzapfen. 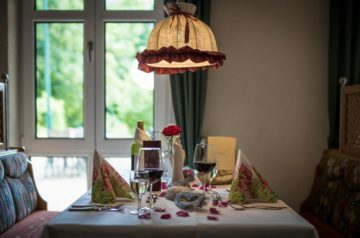 Situated on the ground floor of Tannenpark with its beautiful outdoor terrace, our restaurant offers you a wide range of our specialities. 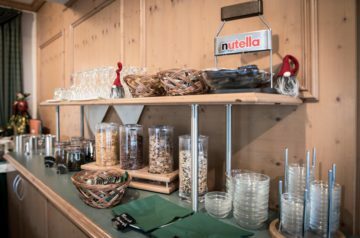 Start the day with a rich breakfast buffet right after a relaxing night at our resort. The Harz is best discovered in a good mood and with a lot of energy. 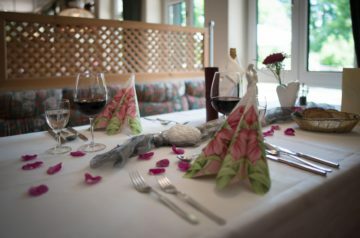 In the evening, we offer you a seasonal and regional menu selection. Within the scope of half board, we serve you a 3-course menu. Or simply choose your favourite dish à la carte. That way, you can end the day in a cozy atmosphere. 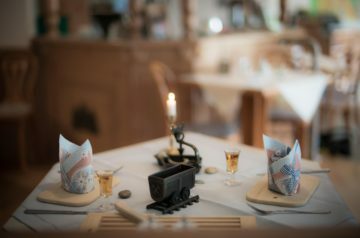 On weekends, a lunch table and a range of fresh, homemade cakes and delicious coffee specialities are on offer which is also ideal for a stop during your trip in the Harz Mountains. We look forward to seeing you! 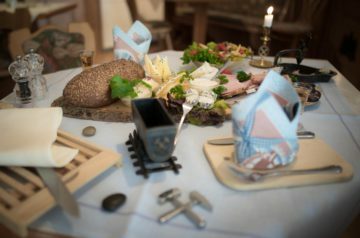 All meals can also be booked by external guests. 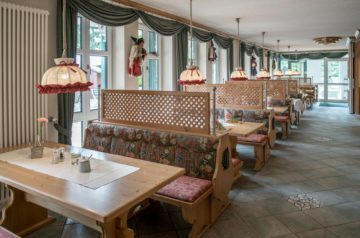 Are you looking for premises in the Harz Mountains for a family celebration or an event? Three interconnected halls with a total of 270 m² are at your disposal in our facility. Adjacent to it is a large outdoor terrace. A birthday, a wedding, a communion, a confirmation or a youth consecration and many other occasions are reasons for unforgettable moments at Tannenpark. We are happy to arrange a special day for you. We can help you select food and drinks, we can also arrange a DJ or a live band for you and ensure that your event runs smoothly. For groups up to 20 people our wooden hut is a special room for an informal evening – which is also bookable for non-houseguests/external guests! The cozy hut on our grounds behind the hotel building has a combined indoor/outdoor fireplace and a grill. Seating, crockery, cutlery, a small fridge and firewood are included in the rental price of 70 € per day. In front of the hut, you’ll find a small terrace. You can choose self-catering or we will be happy to make you a suitable offer for catering.